Mexico, September 3. 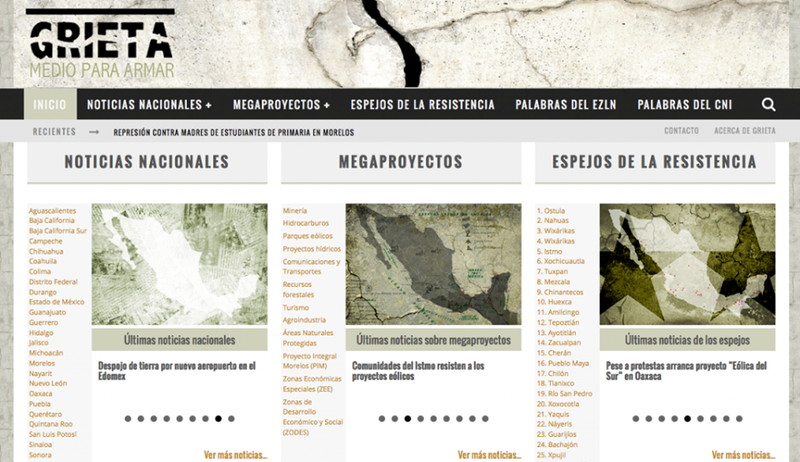 As a result of an effort to raise awareness of the different resistances within organized society in Mexico, the Enlace Zapatista team unveils the website: “Grieta: medio para armar” (“Crack: Media to arm yourself”.) 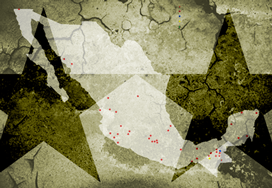 In this portal, current information is compiled and circulated about the struggles in the countryside and the city for the defence of land and territory. In this new media the issues are addressed deeply, but at the same time are made very understandable for all those people who come to consult the site. 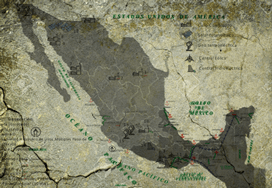 On the Grieta site, information is made available in a systematized way about the different Mexican states and the Federal District. For example in the section entitled Megaprojects, you may consult on issues such as Mining, Oil, Wind Parks, Water Projects, Communications and Transport, Forest Resources, Tourism, Agribusiness, Protected Natural Areas, Integral Morelos Project (PIM), Special Economic Zones ( EEZ) Areas for Economic and Social Development (ZODES), which are duly explained. Another section of the site is The Mirror of the Resistance, which contains information about the organization and struggle of communities which are part of the Indigenous National Congress (CNI). 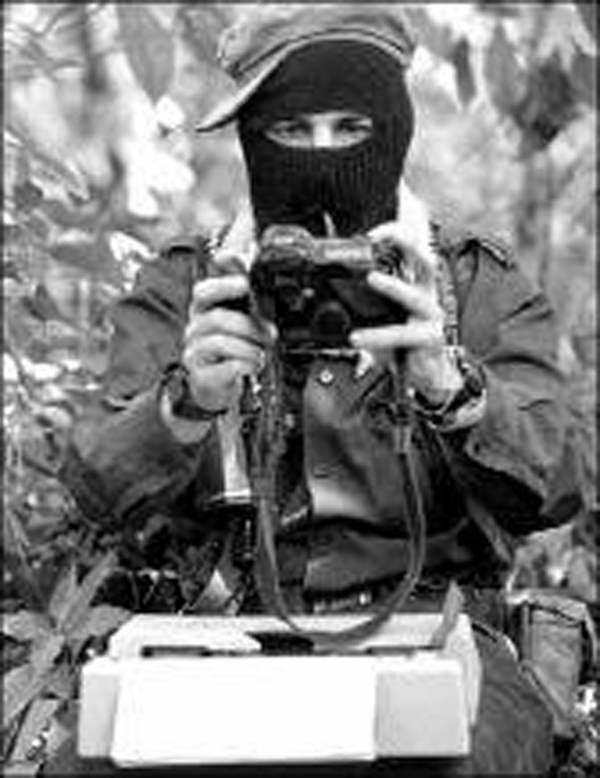 The site also provides information about the word of the EZLN, the seminar Critical Thinking against the Capitalist Hydra and national issues on the themes of femicide, living and working conditions of day labourers, migrants, the disappeared and violence against journalists.